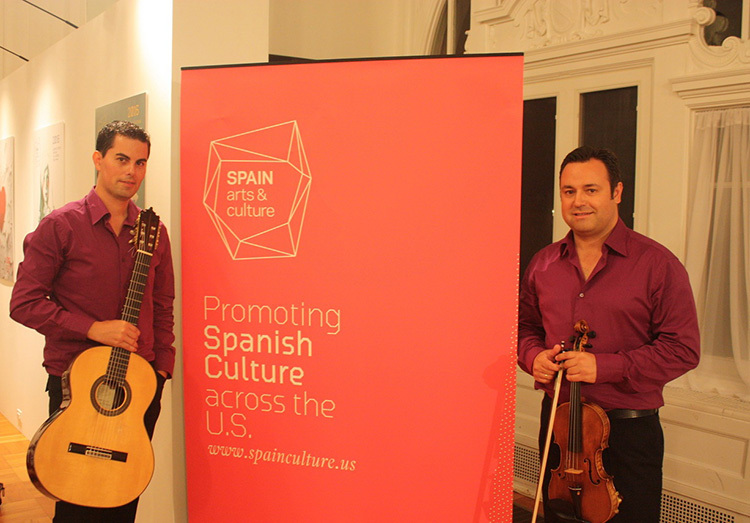 The Duo Belcorde consists of Spain natives Manuel Briega, violin, and Adrián Fernández, spanish guitar. Violin and guitar form a duo of great interest, thanks to the versatility of these two instruments — the tune, melody and harmony form a perfect symbiosis that between them. Dúo Belcorde has made numerous national and international tours such as Japan, Brazil, Morocco, Turkey, Australia, New Zeland, United States of America, China, Portugal, Brazil, Luxembourg, etc organized by important public and private institutions as well as governments around the world. Their program consists of a concert with a selection of Spanish works and masterpieces composed between 17th and 20th centuries. It includes a selection of pieces from the music of Cervantes’s time to modern music by Spanish composers. Pricing: Free and open to the public.